England begin their Euro 2016 campaign against Russia in Marseille on Saturday evening, however there are many conflicting opinions on the side Roy Hodgson should pick to line up in their opening game. After calling up a 26-man squad for the warm up games, Hodgson knew he had to trim that down to 23 for the real thing, and the omission of Danny Drinkwater and Andros Townsend have created a mixed reaction among fans and pundits alike. Drinkwater, fresh of the best season in his life, after winning the league with Leicester, didn’t make the cut, whilst Liverpool duo James Milner and Jordan Henderson did after not hugely impressive seasons, whilst the latter was also injured towards the end of the domestic season. Another midfielder who went ahead of Drinkwater was Jack Wilshere, the Arsenal man has undoubted quality, and has delivered for England in the past, but he managed just three Premier League appearances all season. It makes a mockery of form getting you into the England squad. Another issue has arisen with the wingers in the squad. Raheem Sterling and Adam Lallana are the only natural wide men after Townsend joined Drinkwater and Fabian Delph as the three who didn’t make it. Townsend had flourished towards the end of the season under Rafa Benitez at Newcastle and has been a favourite of Hodgson in the past. The decision not to take Townsend, who provided much needed natural width, may have been with the idea of playing a midfield diamond when it comes to the group games. The diamond sees England play a narrow midfield therefore not requiring wingers as it’s the full-back’s jobs to get up and down the flank. However, when it was last tried out against Portugal in the recent 1-0 friendly win it was less than impressive. Jamie Vardy seemed to be doing more defensively than offensively and England really struggled to penetrate the Portuguese defence. With that in mind, Hodgson may revert to the 4-2-3-1 formation that England effectively used in their excellent 3-2 victory in Berlin against Germany. That would seem the logical decision after the recent performances, it also a damning indictment on Hodgson that the friendly games have provided more questions than answers when it should be a bout fine tuning the tactics you have in mind. Dier Dreams Big with Alli and Kane in the Mix! When it comes to the key personnel for England, there are a few that standout. Eric Dier is likely to be playing in front of the back four after his hugely successful campaign for Tottenham. 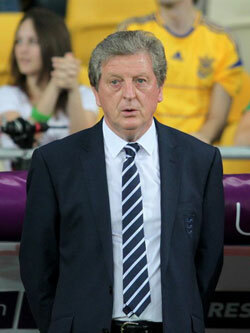 His role will be pivotal in this bright England team who will look to attack. He will cover the full-backs and step in and be another defensive mind and physical presence in front of England’s weakest area – centre-half. Another two Spurs players will be hoping to really make their mark on the international stage at Euro 2016, they are of course Dele Alli and Harry Kane. Alli was voted the young Player of the Year in the Premier League whilst Kane scooped the Golden Boot so they arrive in France in good form. 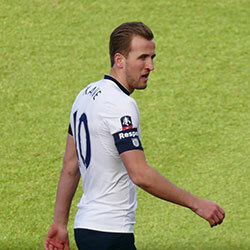 Kane will play as England’s number nine and will be the focal point of the attack. His sharp finishing and quality movement was in evidence in that friendly win against Germany and he will be hopeful of firing in a few goals in the group stages. For Alli a lot will depend on his position, you get the feeling he would excel playing off Kane however with the presence of Wayne Rooney, Alli may be playing deeper in midfield. The draw was fairly kind to England, Wales, Slovakia make up the group after the opener with Russia. Wales and Slovakia are fairly similar sides, well organised and hard to beat blessed with terrific attacking talents, Gareth Bale for the Welsh and Napoli’s Marek Hamsik for the Slovaks. However, if England have any serious ambitions in the tournament then it is a group they should be winning, and if you fancy a bet on that you can find the best betting offers here. Since the Germany win, expectations have been dampened with the defeat to Netherlands and uninspiring victories over Australia and Portugal. Yet all that will go out the window when the real thing rolls round and with their array of attacking talent, England could surprise a few people as they try and beat their best recent showing of a semi-final position in Euro ’96.